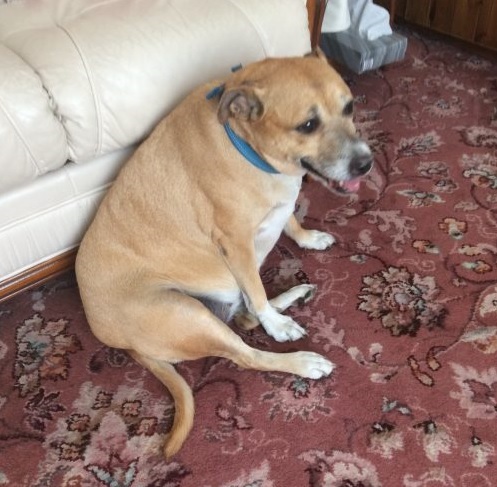 Cuddly Tammy is a very pretty 8 year old Staffy Cross lady who is with All Dogs Matter, in North London, as her owner became too ill to look after her. All Dogs Matter rehome their dogs in and around London and the home counties. Tammy is a sweet girl who has lots of love to give. 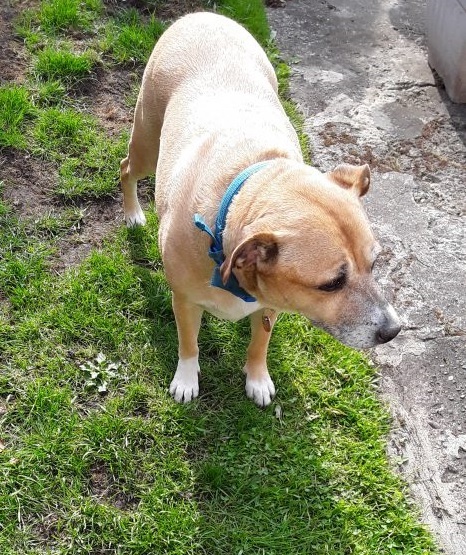 Tammy’s owner hasn’t been able to walk her much recently, and so she is a little on the chubby side, but with regular walks and a sensible diet she should soon regain a more slimline figure. Well-behaved Tammy is housetrained and knows some basic commands. She can live with children aged 10 plus and is good with dogs when out, so she could possibly live with a calm male dog. She can’t live with cats. Tammy is spayed and has no current medical needs. This pretty lady is sure to become a much-loved member of her new family. Perhaps you could be Tammy’s new family? 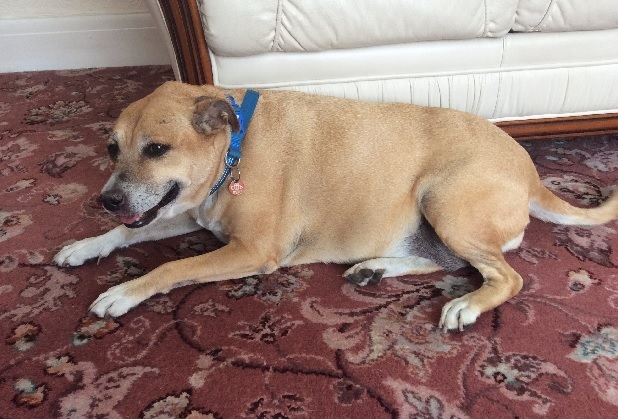 Please mention that you saw Tammy on the Oldies Club website.